Sleep Well Infant Services is a labor of love. As a mother of 2 girls and a career in healthcare, founder Michelle Allday recognized the need for experienced, compassionate newborn care and family support services. Sleep Well was born out of the ambition to have her family lead a healthy lifestyle, and an understanding of the connection between good sleep and good health. 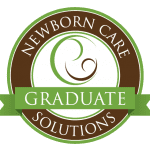 Before becoming a Newborn Care Specialist, Michelle started her career as a Physician Assistant and worked in Orthopedic Surgery for 10 years. Michelle’s love for learning and her desire to find natural ways to take care of herself and her family led her to establish Sleep Well. She always knew she wanted to work with children and parents. Michelle has an unwavering belief that a successful future starts with a strong beginning and lots of knowledge, support, and willpower. As a college athlete, Michelle learned that hard work pays off. She also learned that being a parent can be hard work too! Sleep Well was created to help make parenting enjoyable and not all hard work!